At Crown Windows we offer wide selction of Patio Doors to suit any type of home, from detached, semi to terraced. Below are just a few examples of Patio Doors we have recently fitted for some of our happy customers. If you see an example you like, please feel to let us know via our contact form and we can give you a free no obligation quote. Patio doors can be a great investment, flooding the rooms in your home with extra light and giving you a stunning view of the outside so you can enjoy the views of your garden within your home. On top of that, our patio doors are the ultimate space savers as they slide to give you extra room.  The Crown team offers a wide variety of patio doors to suit every house type and enhance any room, balcony or conservatory. Our patio doors can be made to measure using aluminium and uPVC. We have a range of styles and colours that you can choose from. All of our Patio doors have multi-point locking points installed making them extremely robust and secure with the latest ‘dual hollow’ aluminium horizontal sliding technology.